I missed posting this to Macro Monday by a day when I first posted this (I guess I forgot what day it was), and it has always bugged me. Hopefully no one minds using this old post for the January 24 Macro Monday! Ramsey Canyon in the Arizona Huachuca mountains is world renowned for its diversity of life. The majority of the attention it receives is on the large number of hummingbird species that frequent the area, as well as a number of other bird and butterfly species that are difficult to find anywhere else in the USA outside of the 'sky islands'. 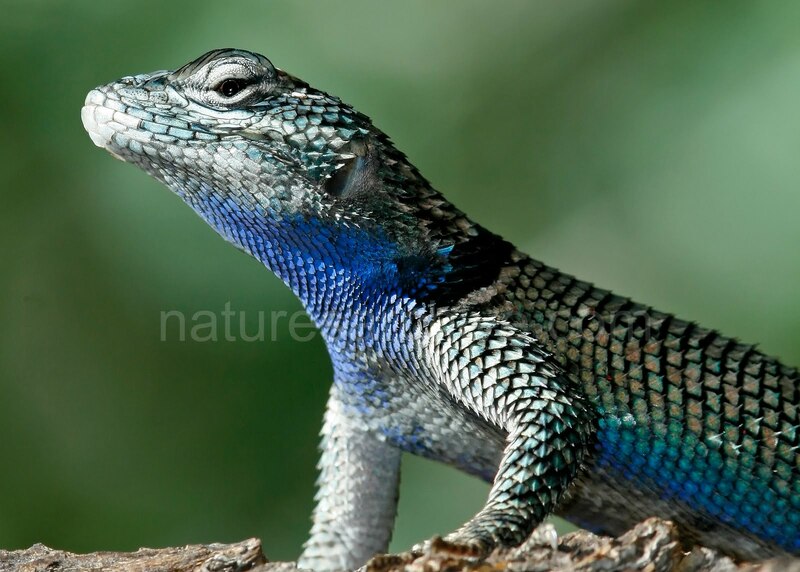 However, one of my favorite endemic species is the Yarrow's Spiny Lizard (Sceloporus jarrovii). This lizard is confined to specific habitats in the sky islands, making it a rarity of sorts. However, when in the correct habitat they are easy to find and generally relatively tame. This lizard let me snap over 30 shots from various angles, allowing me to get the one above showing off the blue throat and the various other colors of its scales. In fact, I was so close that I was at the limit of the close-focus capability of my 300mm F/4 lens. 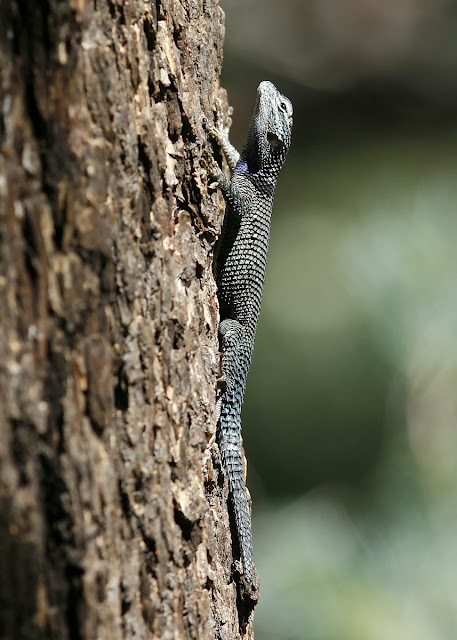 The Yarrow's Spiny Lizard is most likely to be seen near creek beds in rocky canyons, such as Madera Canyon, Ramsey Canyon, Miller Canyon, etc. Yarrow's Spiny Lizard may be casually confused with other similar sized Sceloporus species, but the best distinguishing field mark is a black collar that is usually plainly evident. Both of the above photos show this feature. A terrific specimen and excellent macro. I think he's a bit of a show off! Wow what a pretty good macro! Love it! Great shots of the lizard! It has really nice colors! Wow, what amazing photos. Love the first one showing the colours and textures of the Lizards skin. It is truly beautiful. Beautiful coloration on the lizard. Fantastic photos too. I've been to Ramsey Canyon many times back when I lived in Tucson. Wow what an awesome shot you got of such a rare creature! I'd love to photograph nature/wildlife more! He is beautiful-- He ought to visit the blue monday photo meme too-- love that blue! Great details and colors of the skin! I have many fence lizarda in my yard as well as Western Skinks. Today, in the oak grove near a rocky arroyo I saw a lizard, slightly larger than the fence lizards with a bright turquoise bib and 'scaley'. The scaled on either side of the throught appeared to stick out, resembling gills.No colorful stripe down it's back however. I couldn't see its underbelly. Amazing.